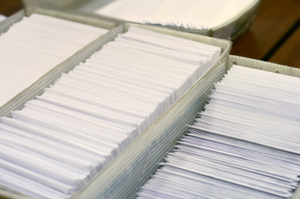 PostMark has worked within the direct mail industry for over two decades. We have the equipment and experience necessary to help you create and deliver successful direct mail projects – on time, cost-effectively, and worry free! Our experienced staff will help you maximize your budget with advice on postal rates, discounts, classifications and delivery options. We can help you optimize your current mailing list, find the perfect prospect list, create content and design, as well as integrate your marketing campaigns with personalization and complete mail tracking. We understand that postal regulations can be complicated, so let us save you the headache by handling your projects from the start. With the most advanced USPS-approved presort software, and our expertise in direct mail and postal regulations, we strive to provide the absolute best mailing service possible.